So; you want to build a castle, eh? Looks like DIY castle building is coming back into style. Here's one being built using ICF. I don't have a lot of information about it, but the owner/builder has a lot of pics and info about what they're doing on the website. I only have the same excuses. Kids, job, life. I can honestly say that I've spent probably a grand total of 10 hours on my computer in the last 6 weeks. My SketchUp skills have fallen by the wayside, but I can toss a 6 year old across the room onto a beanbag and earn some giggles for that. I can also locate lost toys and listen to a 3 year old's dissertation on his breakfast food choices. But that's not what the blog is about, even though it has everything to do with my inability to spend any time here. We had our DEC (the folks who keep an eye on wetlands and protected areas) out to survey and mark off the buildable areas. Momentary panic set in as more and more of the property became marked off as protected. Now, before anyone gets up in arms about the guv'mint getting into our business and keeping the common man down, this was not entirely unexpected. When you buy in a state that has lots of rules, this is what should be expected. If you want to live out in the sticks in the middle of the country you can get away with a lot more. We understand what we are getting in to, we are for protecting land, and we understand that this has a cost in terms of siting and positioning of all construction pertaining to a home. But, that doesn't mean I wasn't worried about our site being completely upended and being forced to build in a completely undesirable location. Luckily, the site we hoped to use happened to be a good spot, away from wetland, just where we wanted it. Whew! Just keep that environmental stuff in mind before setting your heart on a location! At any rate, the dream isn't dead, but it's certainly shifted and morphed over the intervening time. A reality check regarding affordability needed to be taken into account. Construction costs aren't cheap, and if I want to get this built in my lifetime I think it would be dishonest to say I'm going to build it all myself. We finally stopped waffling and have decided to stick with Fran Beauregard (Built4ever on DeviantArt), his designs and ability to think outside the design norms of the day is unlikely to be matched anywhere else, or at least not without a raised eyebrow and a premium charge. The grand, large designs are being supplanted by a more modest design, leaning towards Tudor, and will certainly feature a great hall and some castle affectations. As time passes, I hope we can add outbuildings such as the gatehouse, stable (garage), courtyard and a folly of a ruin on the land. When we get a final elevation, I'll share it. I'll also post pics of any progress on the land we make. We are now the proud owners of a multitude of power equipment and hand tools. Chain saws, felling wedges and the like. Plus blisters. We've in the process of felling trees to clear a way for a driveway. It's a slow process, some of the trees appear to be things like red oak and black walnut. Unfortunately I didn't research the flora of the area to know what I was looking at or I would have taken more care to fell the trees in a manner to preserve as much usable timber as I could, some of its very beautiful and could be used for benches, table-, or counter tops. Need to locate someone with one of those portable sawmills, too. At any rate, it's a start. We're also having a try at a professional home designer/architect who has an excellent imagination and doesn't mind designing outside the box a little. I figure if I haven't been able to put together something doable over the last decade of designing with SketchUp, it's time to quit wasting time and let a pro put it together in a practical and efficient manner. We're looking forward to seeing what he comes up with. 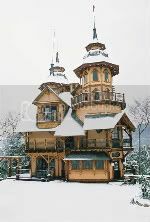 At any rate, check out the designer's architecture, some of it is very fanciful and very fun, castles and all. Life happens. Just noticed today that the writer of Centerstone hadn't added to their blog in a while. After poking around the site I found the announcement that he'd passed away. I'm removing it from the sidebar, but this post will stay on the blog. Stop by and take a look at his creations, they're neat, and you can learn from the construction if you wanted to build a folly or fake stone columns and arches using molds and cast cement techniques. Yep, it's been a while. Still here! Still thinking about castles. Since the economy cooled off and mortgages have dried up, gone belly up or simply become unattainable, the owner-built-anything has disappeared too. Our plans to move to the area near the land have been put in hold, we gota house and had some renovation done but the contractor did a terrible job on the tile work that was completely unsatisfactory, and the plumber failed to use the proper fitting for the external gas hookup along with failing to provide a pressure test to the gas company. So, the house is unlivable. No bathroom, no gas to cook with, no heat. Let that be a lesson, NEVER pay the contractor until ALL work has been completed satisfactorily. They've got our money and we can't get them to come back and fix their screw ups. At any rate, it's freezing here in the Northeast, and we just got back from a road trip to check on the house and happened to have an opportunity to have a look at the land in the frozen state. IMO, it's beautiful. You can see all sorts of tracks in the snow; rabbit, birds, mice, deer, even something surprisingly large that I was unable to determine. I couldn't tell if it was a really big dog or a small bear, the footprints had degraded due to the rain after the snowfall. The creeks were frozen solid or had a thick layer of occasionally transparent ice that the water flowed beneath. Where the creeks join up the water had spread out due to ice dams and flies through icy waterfalls. Thought it was great. Hopefully we'll get to see that through a window while enjoying a fireplace indoors. Here's some pics. Here's a castle being built by the owner using AAC blocks. It's called Uhuburg Castle. It seems to exist on Facebook only as far as a website goes, but you can see a lot of pictures of the construction process without needing an account. There seem to be quite a few new castles popping up on the web, I'm not sure if it's a desire for publicity or a sign of economic improvement. The vast majority are of the concrete block construction with a flat front and flanking round turrets at the corners. I can't tell if they're owner built, likely not, so I'm not featuring them here. A visit to the DuPont Castle website will have a good listing of them. At any rate, this is the only castle being built with AAC block that I know of. A 3-view set of renders from another idea I had. This incorporates everything I could wish to have in a relatively normal kind of building style. Even so, this might require some lottery winnings to complete. The house itself is likely doable, as well as the garage. The extra out buildings however, may be a stretch. One is a mother-in-law, the other is a small work studio. Not even shown is the gate house from this castle I designed a while back that I would incorporate into the long driveway from the main public road. All told, easily approaching or possibly exceeding a million dollars. So far out of our ballpark it's not even funny. But you never know. Maybe I'll be able to slowly build some or all of the extras myself, that would slash the price to whatever the materials are and that would cut the price of those projects by more than half. The price in personal time is another story. Anyway, enjoy the Sketchup work and Thea Renders. I found this interesting video on YouTube covering the building of a stone bridge in 13 days for $13,000 and with a crew of 5. Now, I must confess that this bridge isn't a "true" stone bridge made with fitted pieces, abutments and keystones and all that, but one can see that adapting an honest facade to the method used in this video could net a fully functional bridge that looked like a proper finely crafted stone bridge rather than the rubble-style used here. Perhaps a similar technique could be used for the walls of your castle? Who knows, there may be many possibilities! Here's a list of castles sent by Andy. Some are quite interesting. All for sale; but check your wallet, these don't come cheap. Submit content to this site! Did you build your own castle? 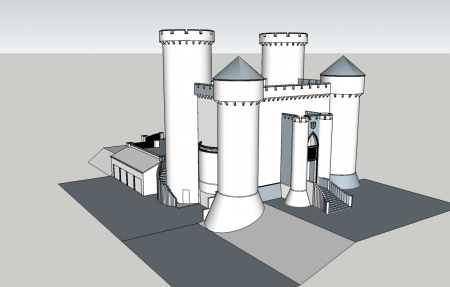 Do you provide services or products that could be relevant to a castle builder? Send me an e-mail with information or a link to your site. I am also seeking "interviews" with owner/builders to post and share here. Click here to contact me. Check out links at bottom of page! All links now added to lists at the bottom of the page. 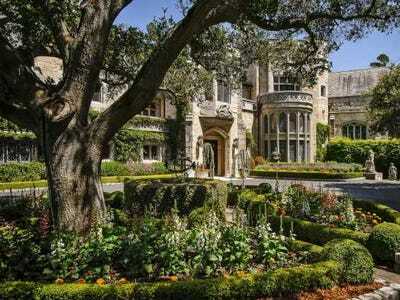 Links include owner built castles, castles in planning, and informative links. Question: How do I get our Mitsubishi 520AM CNC control to accept CNC programs? Support our antique and vintage jewelry shop! Have a look at our ideas. Donate if you like! Thanks!! Please report dead links! Thanks! 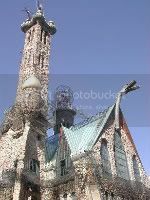 Bishop's Castle: Owner built artistic creation in Colorado. 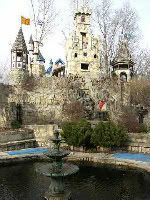 Busboom Castle in Illinois: Castle for rent or occasions, owner also has an eclectic store. 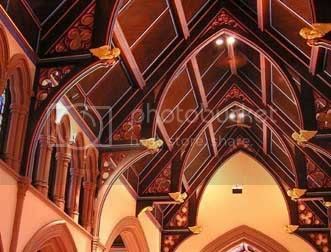 Castle Anam Cara: Castle in New Hampshire, owner creates wrought iron pieces and entertains. Dupont Castle: Watch a castle being built. 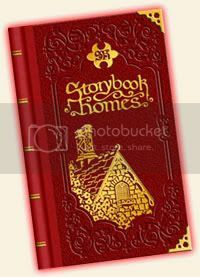 Must-see site contains information on castles around the United States. Falkenstien Castle: Available for events. Not owner built. Glade Castle: Being built in Georgia. Site not updated recently. New American Castle: Designer Showpiece, Restaurant, Museum and more in Massachusetts. Not Owner Built. Rickman Castle: Home converted to castle. Solomon's Castle: An artist's castle finished in aluminum. T. E. Breitenbach's Castle: Artist built castle doubles as studio. Troll Haven: Private residence, but available for tours or events. Please Visit my Amazon.com Store, featuring books mentioned on this site and more! Castle De Couer: Site only, no plans. Just wishing for a castle. 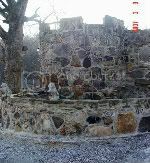 Eagle's Nest Castle: Castle in planning stages, site not updated recently. USACastle.com: An aspiring castlebuilder's site. Some links and plans to their own castle. Castle art by Brooke Scovil. All submissions to this site become property of Jeff Wagner unless by prior agreement or where prohibited by Google/Blogger, all rights acknowledged. All original graphics, art, photos, computer renders, and models property of Jeff Wagner, all rights reserved! Copyright Jeff Wagner. 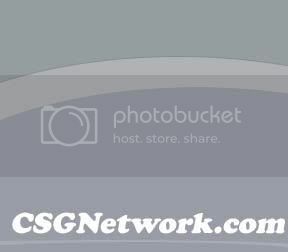 Theme images by Jeff W. Powered by Blogger.